Bat-eared fox is a fox species found on more than 10 African country including Botswana, Kenya, Mozambique, Namibia, Tanzania, Kilimanjaro, Samburu, Zambia and Zimbabwe. In this short animals articles I'm trying to share bat-eared fox fact. This fox called them for they large ears (around 114 to 135 mm long) with a body length between 46 - 66 cm and they tall was about 13 cm. They enormous ears in proportion to its head, like those of many bats. 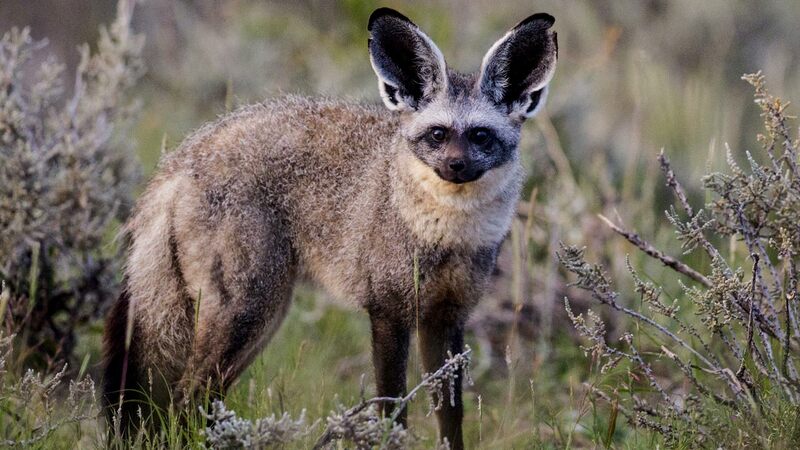 The bat-eared fox large ears are used for thermoregulation. Bat-eared foxes play an important role in termite control because a single bat-eared fox can eat up to 1.15 million termites each year. Beside eat termites, they also eat other insects and arthropods, small rodents, lizards, the eggs and chicks of birds. Bat-eared foxes are primarily nocturnal animal, they are most active at night. The bat-eared fox relies on speed and its incredible dodging ability to escape from predators and they most predators was human. They habitat was on open plains, savannas, grasslands and areas where termites and beetles are found, they life span was around 13 years. Bat-eared foxes was monogamous animals which live in groups of mating pairs and their young. Males bat-eared foxes participate in guarding, grooming, and playing with the young like the females. That is the fact about bat-eared fox, one of African animals which conservation status at now was least threatened.